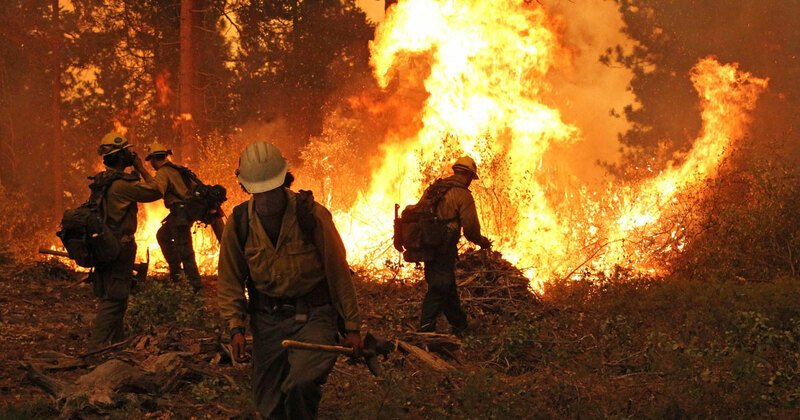 This year is on pace to be the hottest on record globally, coming off a record hot year in 2014. Looking closer to home, parts of the western U.S. are also in the midst of one of their hottest years on record so far. Another important set of records are the daily records set at stations across the country. 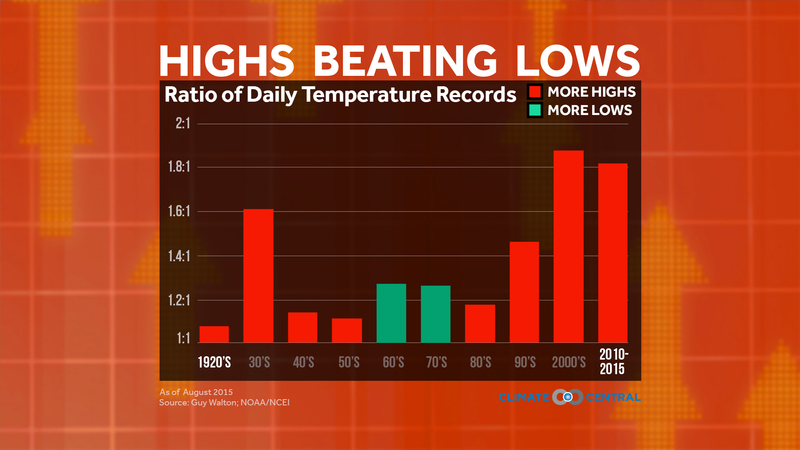 Without climate change, the ratio of daily record highs to daily record lows should be in balance when looking over years and decades — although there will still be swings to cold and hot years. However, over the last several decades in the U.S. record highs are significantly outpacing record lows, which indicates a long-term and sustained warming trend. Despite the record heat dominating the West the past two years, the relatively chilly air across the East has been enough to tip the balance in favor of lows over highs (although the ratio is nearly 1-to-1). But the daily record highs have come roaring back this year, outpacing record lows nearly 2-to-1 since the beginning of 2015. 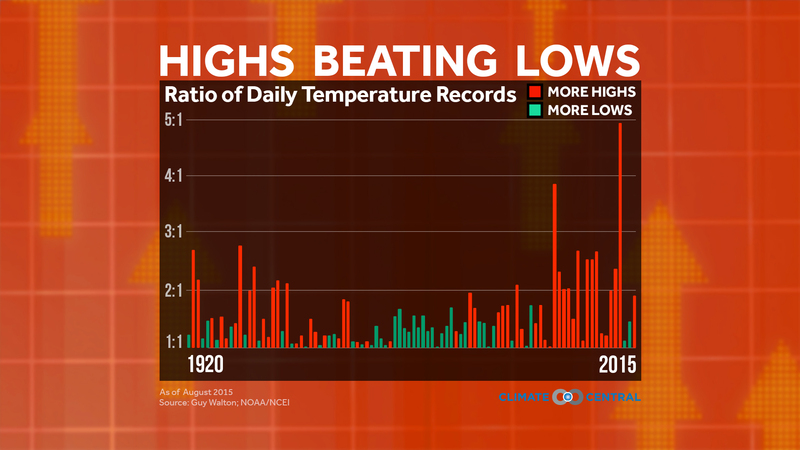 If we look in terms of decades, the 2000s and 2010s have seen record highs outweigh record lows by a higher ratio than any other decade in the last century, even during the notoriously hot Dust Bowl era of the 1930s. The number of record highs being set is especially telling because the statistical chance of breaking a record decreases as the length of time records are kept increases. 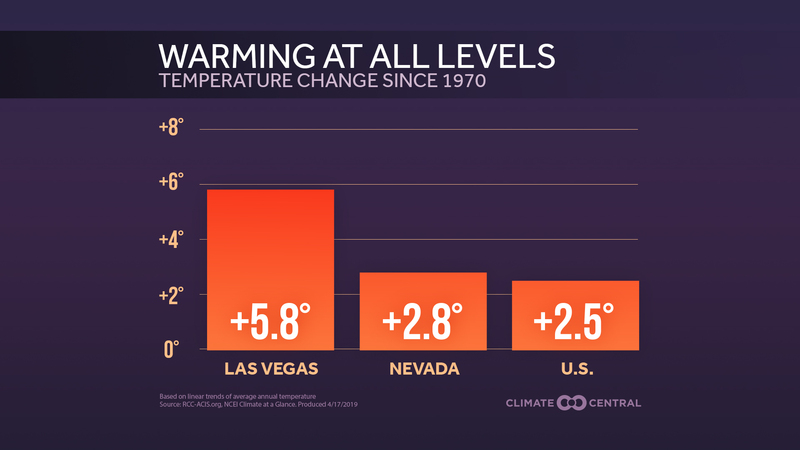 Examining all of the record low temperatures yields another dramatic result — since the first of the year, the number of all-time warm low-temperature records is outpacing the corresponding cold ones by a ratio of more than 6-to-1. This emphasizes that warmer nights are a major factor in the overall warming trend, not just hotter days. As greenhouse gas emissions continue to accumulate in the atmosphere and warm the planet, record warm temperatures will further outpace record cold temperatures. In fact, model projections show that the ratio of daily record highs to lows will be around 20-to-1 by mid-century, growing to 50-to-1 by the end of the century (according to the A1B emission scenario). 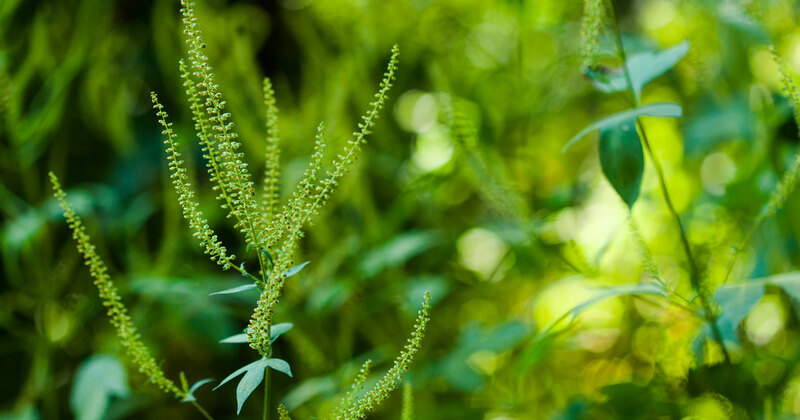 NOTE: If you would like to find the latest record tally, The National Centers of Environmental Information (formerly NCDC), maintains a running summary.